Anchor Pest Control’s residential service protects our customers and their communities from pests year round. This program consists of every other month service that is customized to the seasonal pest trends of Northern California. Using our integrated approach, not only is this effective in controlling pests, but it also helps prevent and reduce pest populations and makes your home a healthier more efficient environment! A cost-effective, thorough, inspection of your home. Documentation which identifies all infested areas. Service which targets high exposure areas. Special exterior treatments every couple of months throughout the year to create a barrier and help keep pests from migrating back into your home. Our radio dispatch system which enables our technicians to respond swiftly to your call. State-of-the-art equipment and innovative pest control methods which eliminate unwanted pests swiftly, including ants, roaches, spiders, millipedes, centipedes, scorpions, earwigs, springtails, fleas, flies, ticks, mice and rats. A thorough pest control maintenance program. Consultation on any other pest control questions you may have. Our professional technicians use state of the art equipment to service your home. Regular maintenance programs provide ongoing protection throughout the year. We pride ourselves in offering a 100% satisfaction guaranteed program. If you experience a reinfestation, Anchor Pest Control is only one phone call away. Anchor Pest Control guarantees 100% satisfaction to regular customers and offers reasonable rates on monthly and bimonthly agreements. 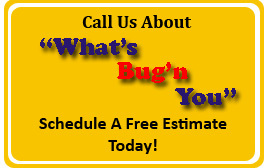 If you have pest issues that continue in between/after your services just let us know, we will return to address your concerns— at no additional cost! Anchor Pest Control is a family owned and operated business and has been in operation since 1976. We offer superior pest control services, including earth-friendly residential and commercial pest control and exterminator services in Sonora and outlying areas for ant, spider, silverfish, roach, rat, mice, bedbug, fleas, flies, and termite infestations. We serve six foothill counties including Alpine, Amador, Calaveras, El Dorado, Mariposa and Tuolumne. You can reach our office to schedule an appointment at 209-536-1981 or toll-free at 800-BUGN-YOU. Our qualified, California state licensed technicians are happy to provide you with a free estimate. Internet Marketing and SEO by kmarkingmind.com Website Designed by Kinsey Consulting.